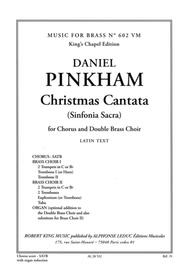 Christmas Cantata (Sinfonia Sacra),the most famous piece by Daniel Pinkham, composed in 1957, is a church composition for Chorus, Double Brass and Organ. Written in Latin, this version of the piece contains the Chorus score (SATB) with the Organ reduction. Accessible to good high-school and college singers, the opening statement is sung by the whole SATB followed by the rhythmically complex Allegro section. 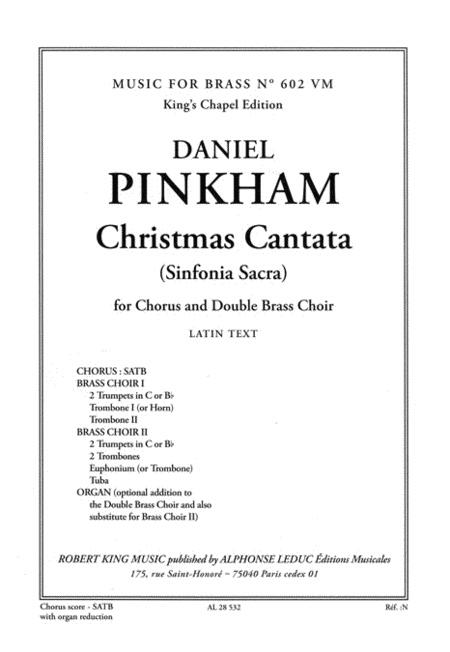 The middle section is sung by Sopranos and Altos while the Rondo, which is part of the final part, is sung by the whole SATB, its verses being interpreted by the different groups. Daniel Pinkham (1923-2006) is anAmerican composer, organist and harpsichordist. Most of his compositions were related to church music and his best known works are the Christmas, Advent and Wedding Cantatas.